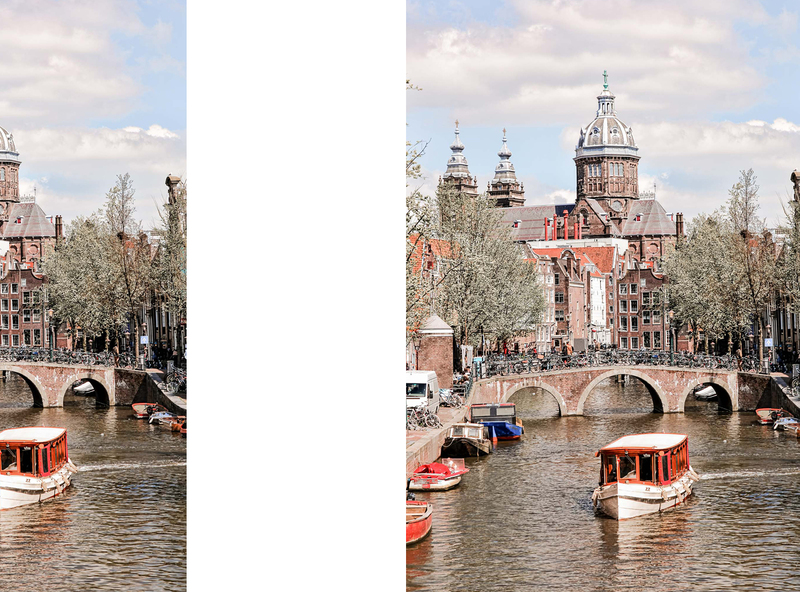 If the Hop On Hop Off bus sounds like one on the lamest ideas you have ever heard, you might want to read our full guide of the city of Amsterdam. 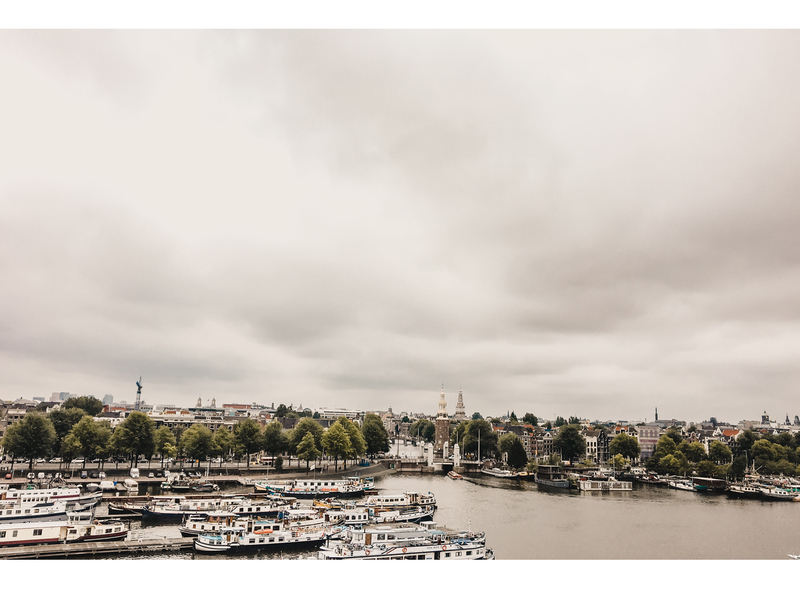 We, at the office, have been lucky enough to visit the Dutch capital a few times now and as a consequence, we have some of the best advice for you to have in mind on your next trip. First things first, if you are travelling during the winter, pack some warm clothes. Amsterdam is surrounded by canals that make the humidity levels go up and make you freeze by the time your second foot just went out of the door. 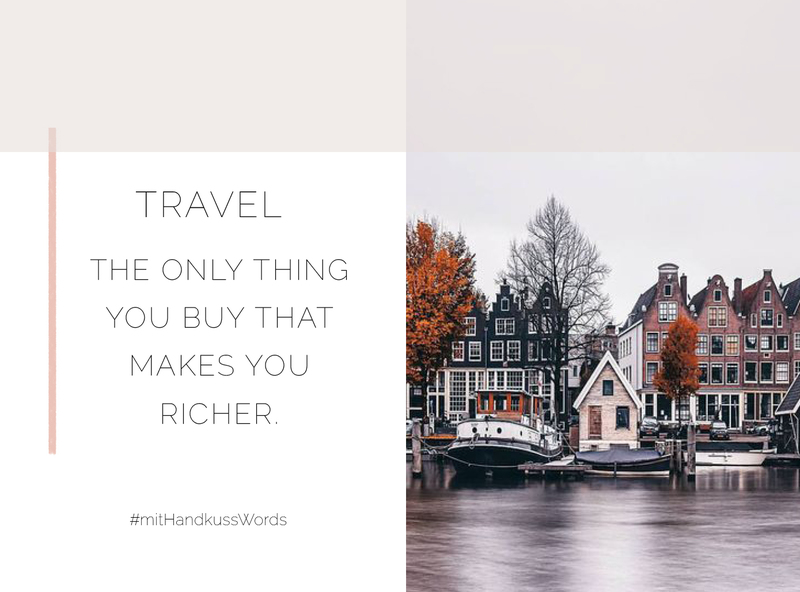 mit Handkuss tip: Besides the cold, the city is well known for its sporadic rainy days, so make sure you pack a warm raincoat when travelling to Amsterdam. If a canal cruise sounds like a fun thing to do, you might want to head the canals directly and get the full experience. All you have to do is ask one of the captains (usually wearing a white sailor hat) about the price and simply jump on the one you like the most. Each company (or boat) has a different route, some longer, some shorter and of course, a different price. If you are not a fan of water you might want to “do it like a local”. Renting a bike will probably be one of the easiest things you can do in Amsterdam, besides finding a coffeehouse. We would recommend finding the closest rental shop to your hotel or apartment. mit Handkuss curiosity: Once you are already exploring the canals if you are curious enough, look closer into the water. You might be able to spot the fallen bikes – Over 25,000 bikes end up in the canals every-single-year! Another curiosity about Amsterdam is the “Look inside. Nothing to hide.” rule. You will be able to have a good look INTO some of the 300-year-old homes located around the canals. The reason? Dutch people don’t use curtains for a specific reason, they have nothing to hide and therefore their homes are open for everyone passing by to look into them. Interesting, right? Also, since shopping never killed anybody, you should also note the De 9 Straatjes. These are 9 picturesque shopping alleyways with many little boutiques and small cafés where you will probably get some great snaps and some incredible coffee. These streets are all next to each other, located close to the canal belt area. This spot is usually considered Amsterdam’s most charming neighbourhood. Go get lost in it! And if you prefer staying far from the touristic spots, you should consider De Holländische Manege (Vondelstraat 140). I will just say…. This is a very well-kept secret! You must know that all houses are tiiiny. So, if you want to go for a fully unique experience you should begin by “staying different”. Hotel de Windketel (Watertorenplein 8C), is still considered a hotel but it should much rather be described as a “freestanding octagonal brick tower built in 1897”. It’s special. It’s unique. It’s very Amsterdamish. 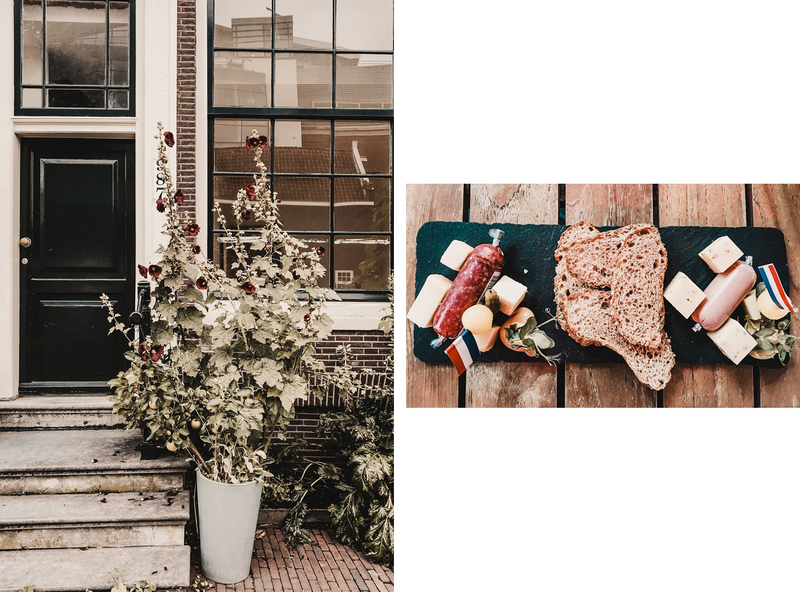 If you are going for a more classic stay, Morgan & Mees (Tweede Hugo de Grootstraat 2-6) is also located in an old building on the West side of Amsterdam. Beautiful interiors and sometimes separated in two-level bedrooms – Top location! First breakfast… Rainbowls Amsterdam (Frans Halsstraat 40) are not only amazing and tasteful, but they are also stunning to look at. You should expect a lot of colour and flavoury fruits that you might have never tried before. 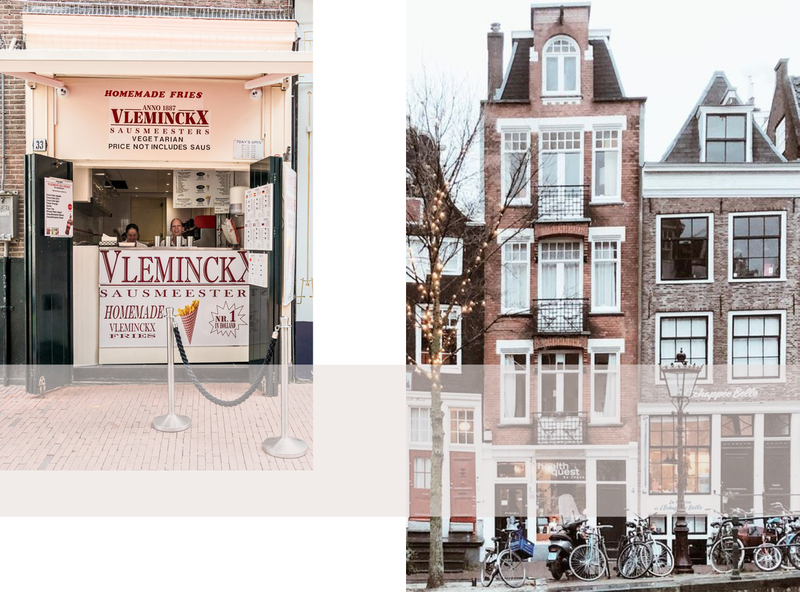 While out on the streets… you shall not miss Vleminckx Fries (Voetboogstraat 33). THE best fries in town. You will most likely have to queue up, but it is definitely worth the wait. Pssst… they offer more than 30 different sauces!! For lunch… try The Avocado Show, as you might have guessed, it’s all about avocado. You can choose within a huge variation of avocado-based dishes. Unfortunately, they don’t take reservations, so a “first comes, first served” rule applies. You might have to queue up with some other avocado lovers like you, but any avocado dish is always worth the wait (Daniël Stalpertstraat 61). For an afternoon snack… how about the smallest pancake house in Europe? Only 4 tables are all Pannenkoekenhuis Upstairs (Grimburgwal 2) needs to attract more tourists than any pancake house ever would. This little pancake house has been there, nothing less than, since 1539 and the stairs to go into the shop are almost at a 180° angle, so basically it could be considered climbing. To end the day with a nice dinner… REM Eiland (Haparandadam 45-2) is the right place. Special and unique. 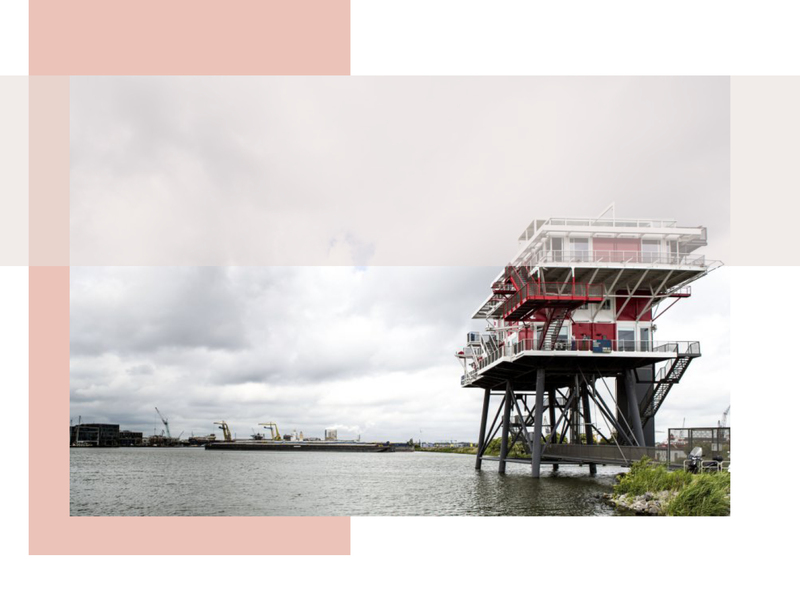 This restaurant is an offshore former broadcast renovated platform of the illegal television station “TV Noordzee”. If you fancy some nice drinks after dinner… Door 47 (Reguliersdwarsstraat 74) is a hidden speakeasy cocktail bar behind a requisite door that you will have to find to enter the bar. Once there, you can either explore their own history of cocktails or create your own drink. However, you should also make sure you hit some of the touristic hotspots in Amsterdam. 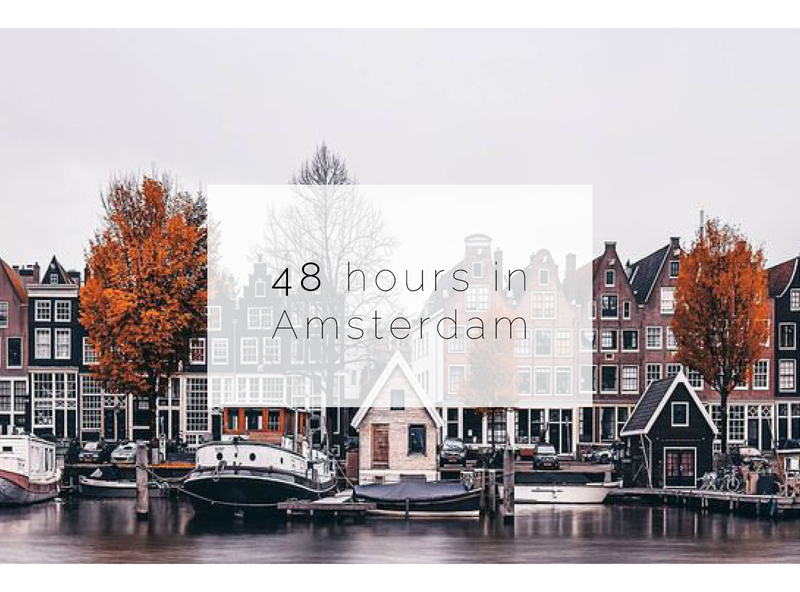 For example, go catch the ferry to Amsterdam North, here you will be able to enjoy some vibrant foods, drinks and the coolest cultural scene. You should also visit the Anne Frank House (be ready to wait a while for this!). You can have a waffle on the streets and sneak into one of the never-ending coffee houses. Museumplein is home to more than 1000 paintings, drawings and letters of Mr Vincent Van Gogh himself. Go face them in real life. Lastly, go get your selfie with the IAMSTERDAM letters. You haven’t been to Amsterdam if you haven’t taken this picture. Wer die kleinen Grachten entlang fahren will, fragt direkt die Bootskapitäne – Routen und Preise variieren von Boot zu Boot. Wer lieber an Land bleibt, kann sich ein Rad ausleihen und damit durch die Stadt fahren. Typisch Amsterdam! Geht man an den Kanälen entlang geht, kann man in viele der Häuser hineinsehen. Das liegt an der alten Regel, die sagt: “Look inside. Nothing to hide.”. Die Bewohner haben nichts zu verstecken, und so öffnen sich die 300 Jahre alten Häuser unseren Augen! Shopping-Liebhaber werden sich in De 9 Straatjes wohlfühlen. In den kleinen Straßen findet man viele kleine Boutiquen und jede Menge Cafés. Ein absoluter Geheimtipp abseits des Tourismusstroms: De Holländische Manege (Vondelstraat 140). Ein einzigartiges Erlebnis ist das de Windketel (Watertorenplein 8C) Hotel. Ein kleines zweistöckiges Backstein-Oktagon aus 1897, in dem man wohnt. Für ein klassisches und zugleich stylisches Hotel mit minimalistischer, aber moderner Inneneinrichtung empfehle ich das Morgan & Mees (Tweede Hugo de Grootstraat 2-6). Würde ich bei meinem nächsten Amsterdam-Besuch erneut buchen! Snack am Weg: Für die besten Pommes in Town geht man zu Vleminckx Fries (Voetboogstraat 33). Das Beste: Es gibt über 30 verschiedene Saucen. Muss ich mehr sagen? Mittagessen: Die Macher von The Avocado Show (Daniël Stalpertstraat 61) haben ein ganzes Lokal der beliebten Avocado gewidmet. Ausprobieren, auch wenn man ggf. auf einen freien Platz warten muss. Reservierungen nehmen sie leider nicht. First come, first served. Pre-Dinner Snack: Das kleinste Palatschinken-Haus Europas mit nur 4 Tischen. Das Pannenkoekenhuis Upstairs (Grimburgwal 2) steht seit 1539. Abendessen: Einmalig ist das REM Eiland (Haparandadam 45-2). Eine kleine Plattform im Wasser und einst die Fernsehstation des illegalen Fernsehsenders “TV Nordzee“. Den Abend ausklingen lassen: Door 47 (Reguliersdwarsstraat 74) ist hinter einer Requisiten-Tür versteckt. Cheers! Nun aber doch noch ein paar touristische Attraktionen: Die Fähre nach Nord-Amsterdam bringt dich zu vielen Lokalen, Bars und einer hippen Kulturszene. Das Anne Frank Huis ist ein Must-See, auch wenn mit langen Wartezeiten verbunden. Ein Besuch in einem Coffeeshop sowie eine Waffel on-the-go sind ebenfalls Pflicht. Am Museumplein gibt es mehr als 1000 Gemälde zu sehen, inklusive Banksy (Banksy Museum) und Van Gogh (Van Gogh Museum). Ein Selfie mit den AMSTERDAM Buchstaben darf auch nicht fehlen. Sunday Thoughts: Du und ich – Wir bekennen Farbe!